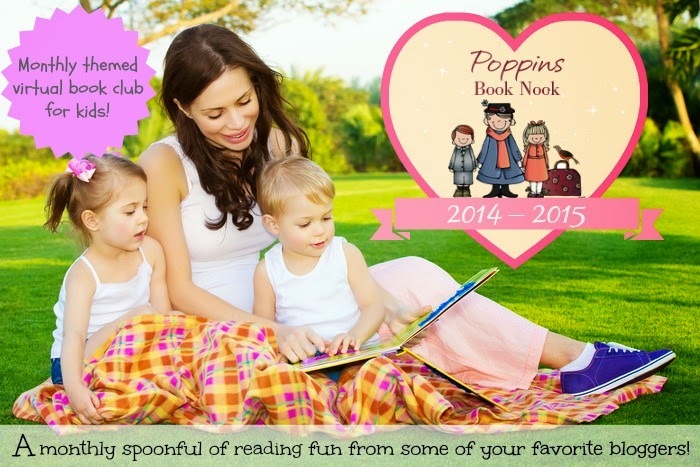 Today we are sharing our latest Poppins Book Nook story and activity for the theme, To the Laboratory! 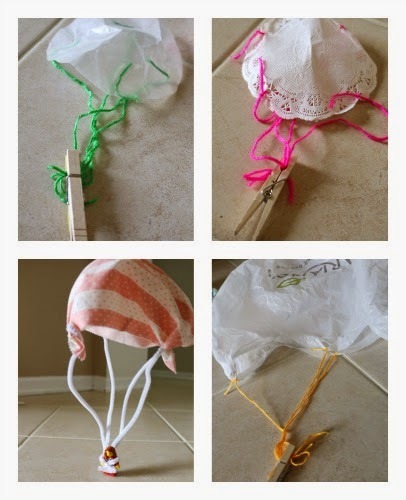 After browsing through several books full of different science experiments... and wanting to do a lot of them, I finally narrowed it down to one and decided on exploring air resistance by making our own parachute. Well, one parachute led to three-- so each kiddo could have one, and then that led to a little experiment about which type of material was best! 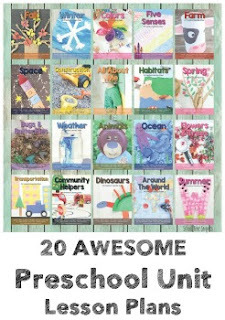 We found the experiment in Usborne Book of Science Activities Vol.2 and was a go along activity for our storybook, Captain Sky Blue. 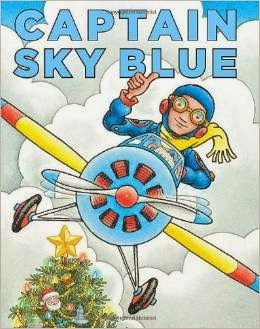 Captain Sky Blue is full of airplane lingo and is a cute story that begins on Christmas morning when a little boy receives Captain Sky Blue and a toy airplane. They have many adventures together, but one day the toy airplane breaks and Captain Sky Blue is left parachuting through the sky landing far from home. A rather strange underwater event takes Captain Sky Blue back to Santa's Workshop where he is soon reunited with his friend. 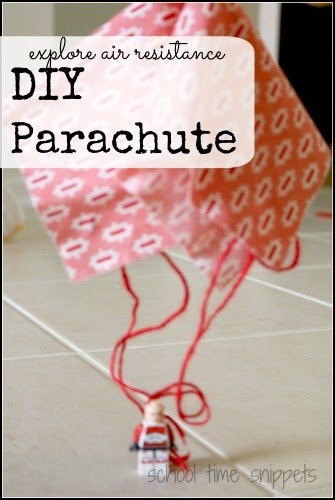 Our first parachute was made using some string, square piece of fabric, tape, and of course our flyer, a Lego Man! I sent my kiddos up the stairs and had them drop them down below. 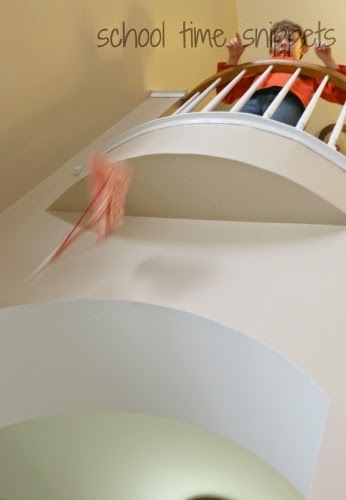 Up and down the stairs the kiddos ran to retrieve their parachute and do it all over again. We found that the fabric parachute with strings fell the slowest, followed by the large plastic bag.... And there wasn't much air resistance with the wax paper parachute or the doily! The fabric parachute with pipe cleaners fell quite fast too, and we believe it is because the pipe cleaners made the parachute heavier, thus overcoming the air resistance. 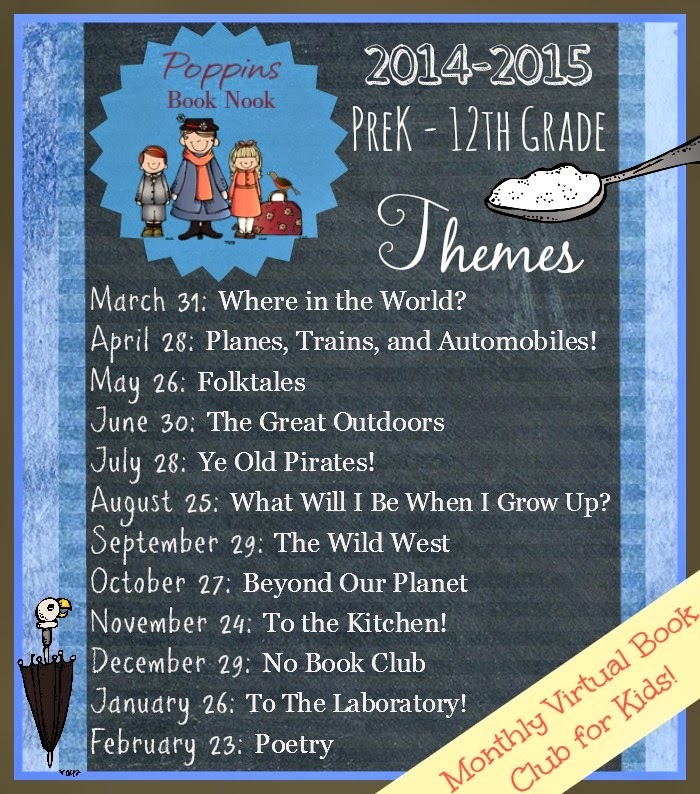 See you next month as we'll be sharing the last Poppins Book Nook theme for the 2014-2015 year!